Another demolition job is making rounds online, following a scathing advertisement against Davao City Mayor Rodrigo Duterte that was aired on Thursday. 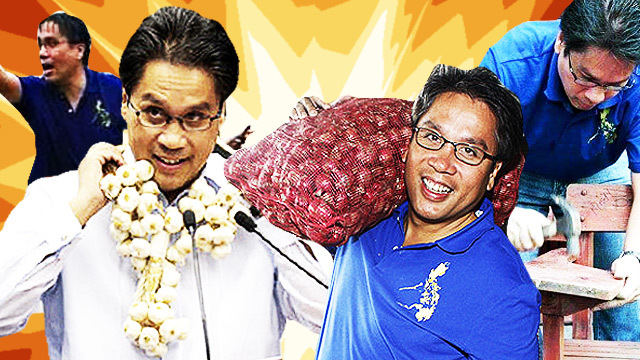 This time, it features administration bet Mar Roxas, who is known to be Duterte's friend-turned-foe when their battle for the presidency started last year. 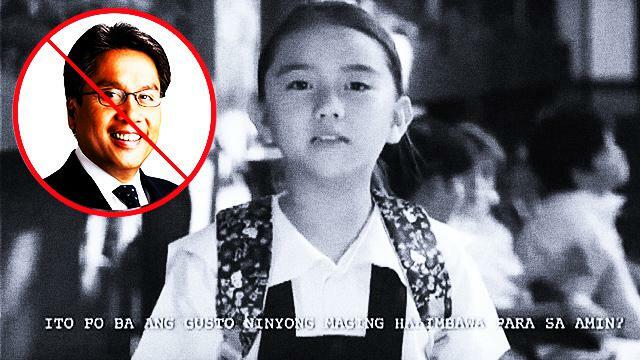 The video, which is over a minute long, retained the original parts of the now-viral anti-Duterte ad but was edited to highlight Roxas' political blunders through the years. It starts with a child asking whether we want a leader like Roxas, which was spliced with the infamous footage of him cursing during a charter change protest in 2008. The video went on to include a quote the former Interior secretary unintentionally popularized after the onslaught of Typhoon Yolanda: "You are a Romualdez and the President is an Aquino." Even the controversial Playgirls incident, wherein members of the Liberal Party were treated to some twerking action on-stage, was included. Two instances where Roxas went head-to-head against Duterte during the campaign period (on drugs and their much-publicized slapfest dare) were also featured. "Sampalan? Bakit pa sampalan eh pang babae yan, suntukan na lang," he said. Roxas, who used to lag behind his opponents in past surveys, has recently taken the second spot from Senator Grace Poe in a recent Pulse Asia survey. Duterte still holds the lead at 33 percent.